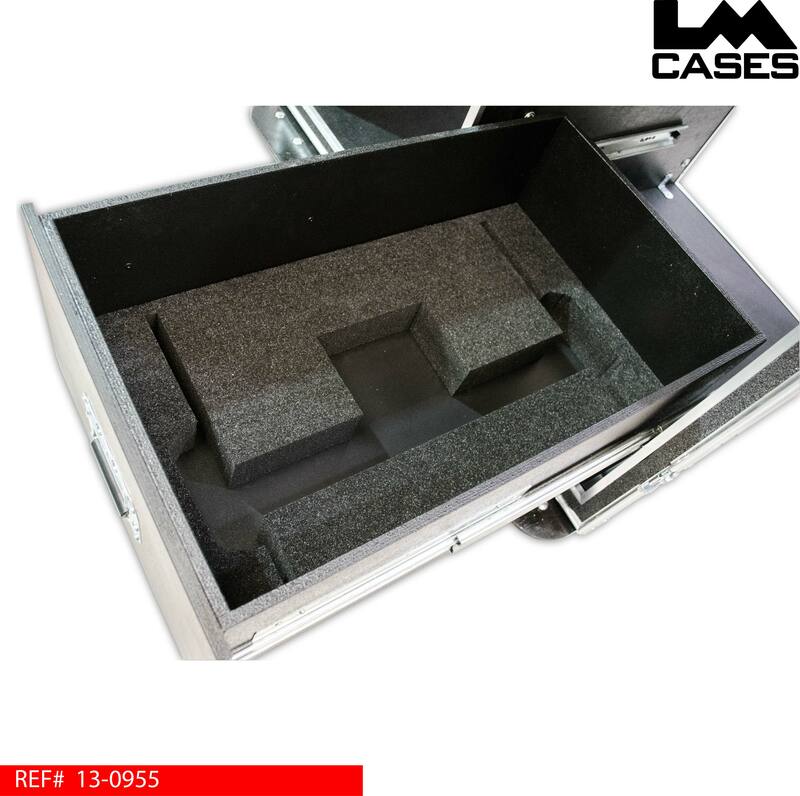 This case was built for Advanced Defense Solutions to provide a portable workstation for their factory floor for metal testing. Metal quality control is done by a scanner mounted on a movable gantry, this gantry scanner is hardwired to a rack mounted control unit. The gantry scanner is held in a CNC cut foam insert in a removable drawer; the drawer is mounted on the right half of the case. 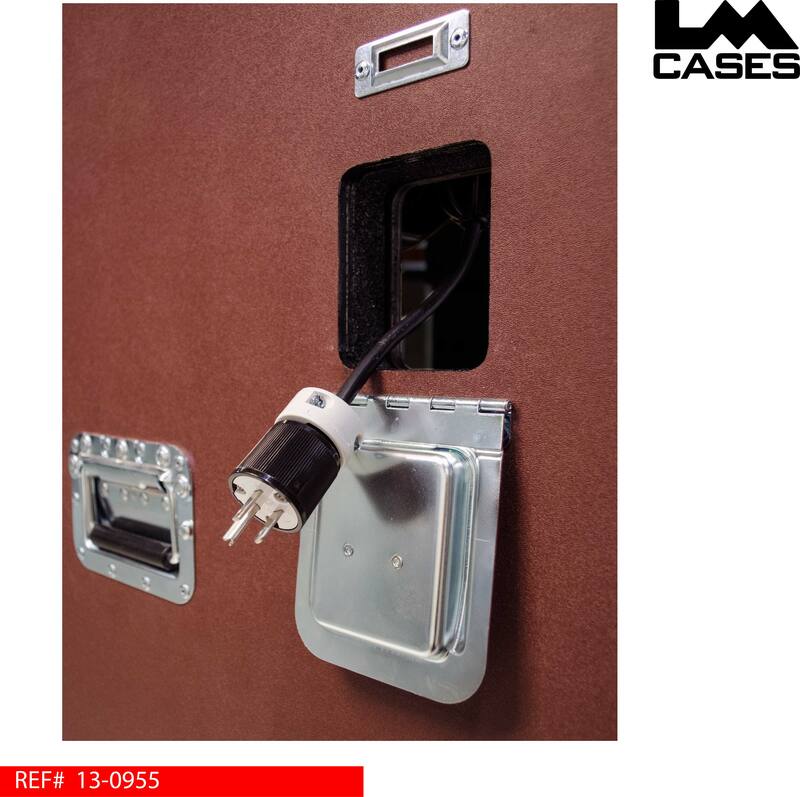 The top of the drawer is open, allowing the cable to coil and store above the drawer on hooks. 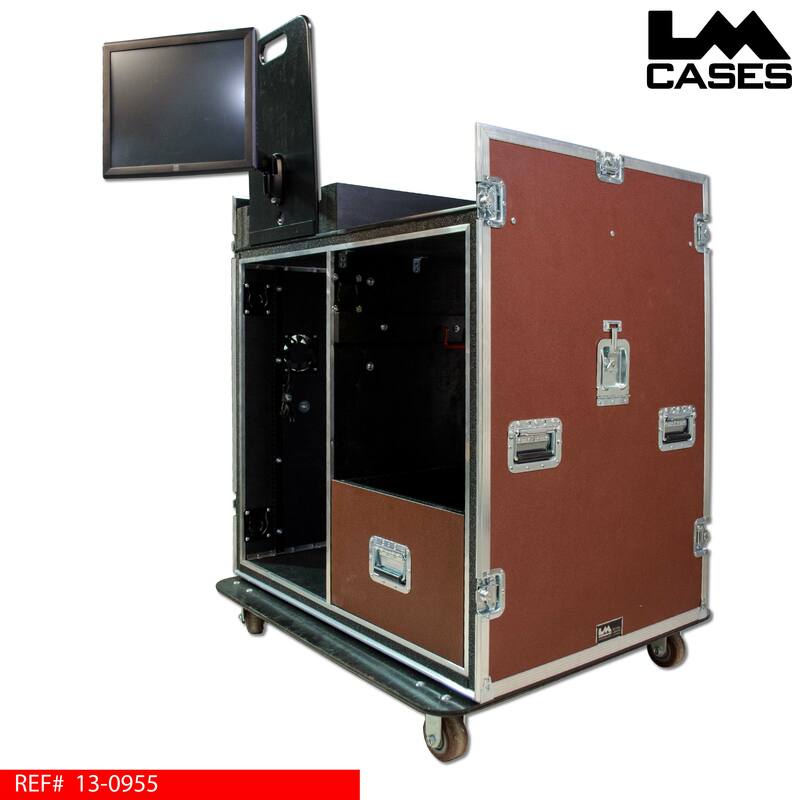 A 20RU shockmounted rack is mounted on the left half of the case providing adequate storage for all processors needed to run the scanner. 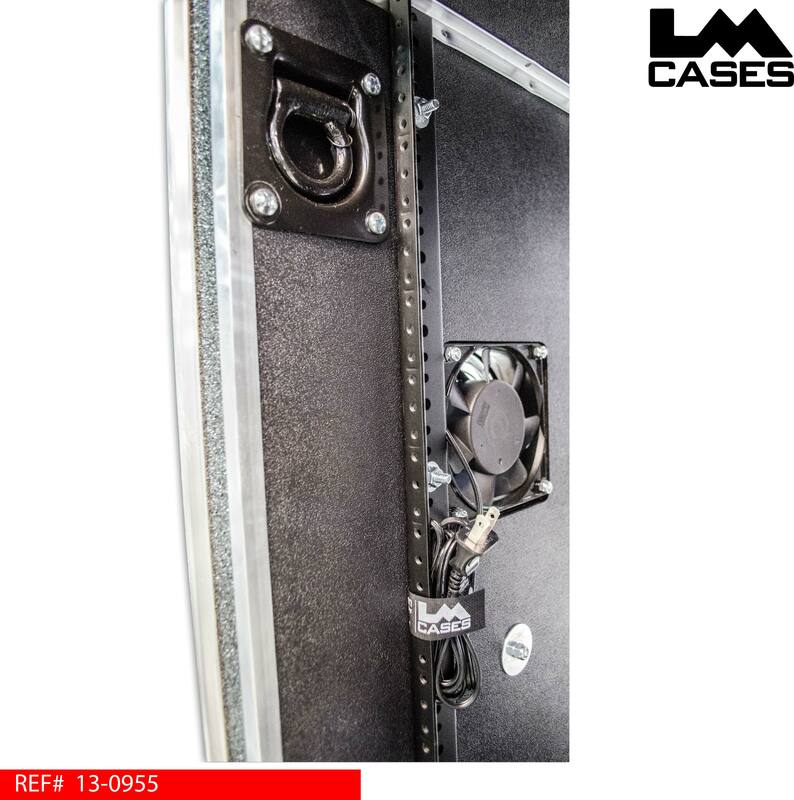 The rack features recessed spring loaded D-Ring shackles which allow multiple points to tether the umbilical cord that runs the gantry scanner, the rack also features recessed fans to provide additional cooling. 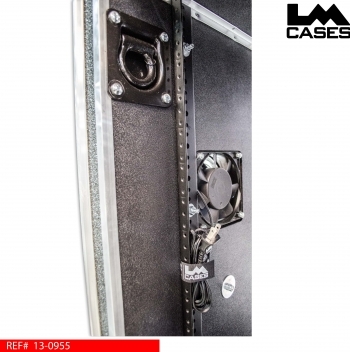 The rack, drawer and cable storage is built into a single frame to isolate it from the exterior case and provide shock protection. 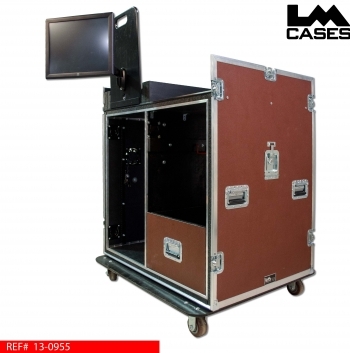 The top of the case features a 19" ELO touch monitor mounted on a position control hinge board and telescoping monitor mount. 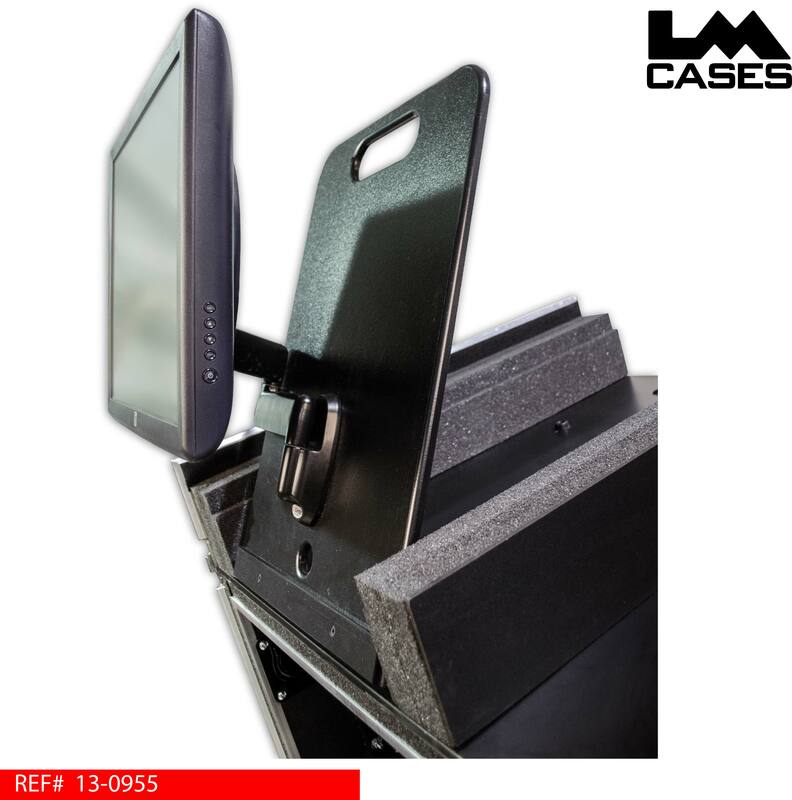 The position control hinge board allows the monitor to be tilted at any angle ranging from 90 - 180 degrees. 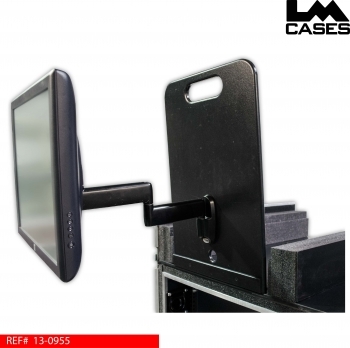 The telescoping monitor mount features a rotating VESA mount allowing the monitor to be orientated in portrait or landscape views in addition to letting the monitor swing to the left or the right. 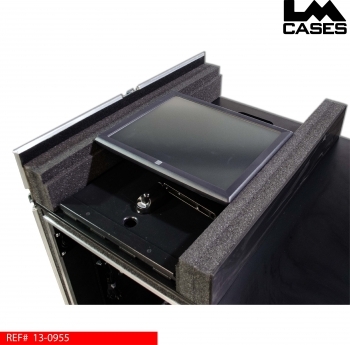 To the right of the monitor, is a black Formica laminated writing surface. The case also features a retractable 30' cable reel eliminating the need for an extension cord to power the case. 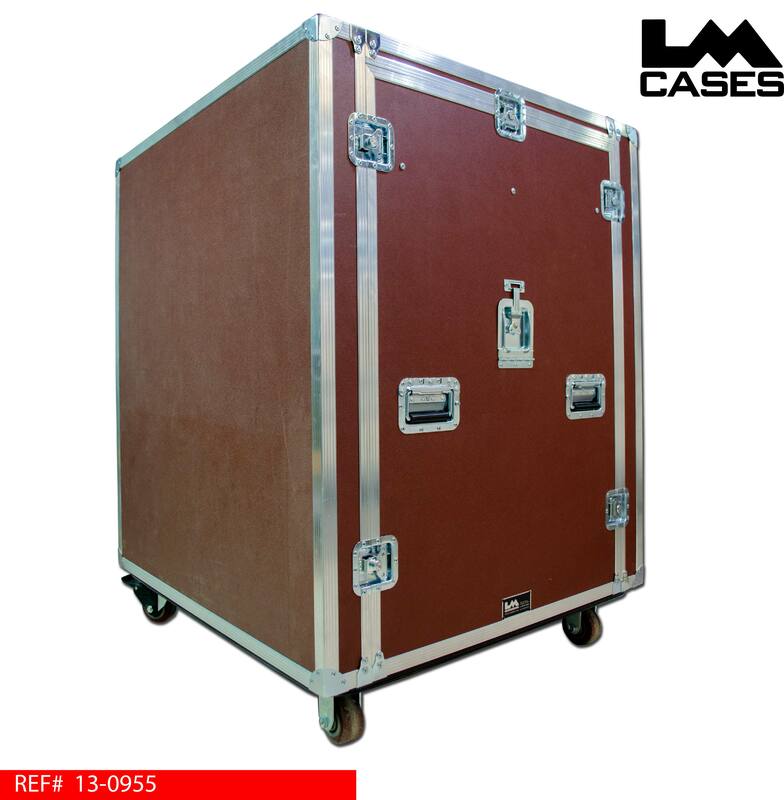 The exterior case is built out of 1/2" plywood laminated with wine ABS plastic. The exterior features removable top, front, and back lids, 4" x 2" Colson casters (2 fixed - 2 swivel) and deep recessed handles. Special thanks to Advanced Defense Solutions! !